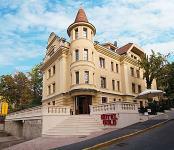 Online reservation for all hotels, apartments in Budapest and Hungary. 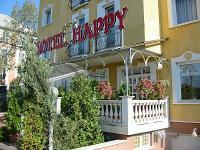 We offer hotels, apartments and accomodations in Hungary at discount price. 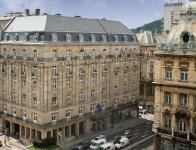 Special offers and packages for tourists in wellness, spa and thermal hotels. 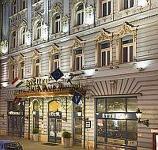 Hotel Arena's special offers in Budapest, close to Keleti Railway Station and Stadionok metro station. 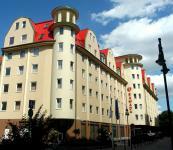 Hotel Eben is located on the Pest side of Budapest, near the Budapest Fair Center (Hungexpo). All of the 99 non-smoking rooms are air-conditioned and free WIFI Internet connection is available for the guests. In the hotel restaurant fine dining experience awaits the clients from the international and local cuisine. The success of events is guaranteed by the 6 different conference rooms equipped with all technical facilities and by the professional staff. 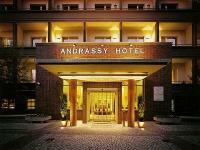 Mamaison Hotel Andrassy at discounted rates in the centre of Budapest. 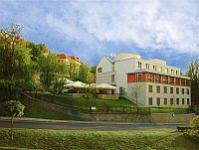 The Alfa Art Hotel is located in Budapest at the bank of River Danube in a natural environment. In the renovated Alfa Art Hotel 42 air-conditioned rooms, an own restaurant and terrace as well as 5 modernly equipped conference and meeting rooms are at the guests' disposal. The Old Mill Apartments located in the central of IX. district Budapest. 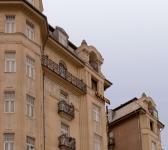 The Old Mill Apartments are easily reachable by city trams. Within a few minutes walk you can find the office buildings of the Budapest business district, the Boráros Square, the Millenium City Center, the Corvinus University and the Semmelweis Medical University buildings as well as the Palace of Arts. Near The Old Mill Apartments there are many catering facilities. The 3-star Hotel Ibis Budapest Centrum*** can be found on the Pest side of Budapest, just 5 minutes walk from the business and cultural centre of the city. Hotel Novotel Budapest City****, connected with the Budapest Congress Centre, provides ideal opportunities for businessmen and tourists, with a wide range of services. Online booking, and friendly staff. 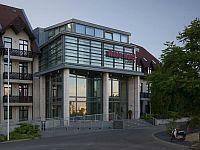 Rubin Wellness & Conference Hotel **** is located on the Buda side, with good public transport connections. 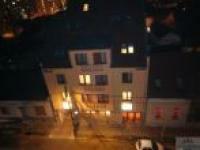 The hotel await the guests with special discounts, and online booking. 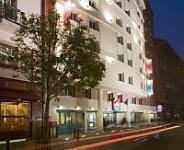 Ibis Styles Budapest City***, is situated on the Pest side of Budapest, close to the city centre. 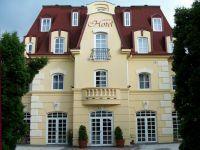 Rooms with panoramic view to the river Danube, online room reservation, special discounts. The 4-star thermal hotel Danubius Gellert located in the centre of Budapest, is waiting for the guests who are looking for a traditional hotel, with online booking. Sofitel Budapest ***** is located in the heart of Budapest, overlooking the river Danube, the Chain Bridge and the Castle Hill. Online booking, and special services at discounted price. 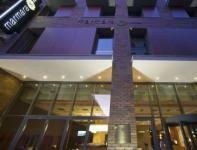 The 3-star Hotel Corvin is located just a few minutes’ walk from the heart of Budapest and River Danube. 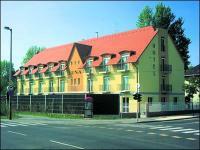 The hotel has easy access from Budapest Ferihegy Airport and from highways M1-M7. Online registration, and special packages for tourists. The new 4 star Hotel Aquaworld Resort Budapest, one of the biggest indoor water theme parks in Europe. Novotel Budapest Centrum ****, can be found in the downtown of Budapest, with easy access from the cultural and commercial parts of the capital. Online booking, friendly an helpfull staff. 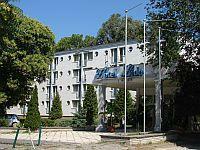 The 3-star Hotel Bara*** is a centrally located hotel, in the green belt of Budapest. 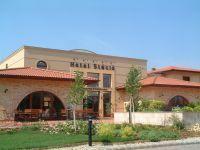 Hotel Bara offers 84 comfortable rooms, from single rooms to apartments and an underground garage for 80 cars. The hotel has 6 conference rooms for up to 450 persons. 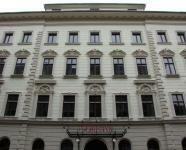 Budapest, centre, hotels, 3-star hotels, cheap hotel, Hungary, online booking. 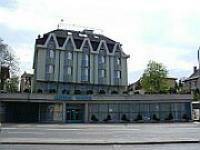 Hotel Novotel Budapest Danube is located on the banks of Danube, on the Buda side of Budapest. The hotel awaits its guests with the magnificent view of the Hungarian Parliament,with friendly staff,and online booking. 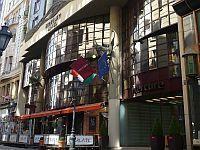 The 4-star Leonardo Hotel Budapest is located in the IX. 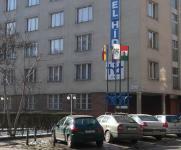 district, near Ulloi street. 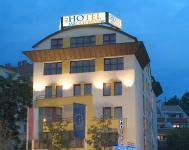 Hotel Griff 3 star hotel on the Buda side with easy access to all tourist attractions. Ideal for groups and individual travellers. Offers 3-star services at discounted prices. The newest 4-star hotel of Budapest – Boutique Hotel Soho – is located in the heart of Budapest, between the Eastern and Western railway station and among many famous historical sights. SPECIAL OFFER! free night : 7=6!Hotel Polus*** is situated 8 kms from the centre of Budapest, 300 m from highway M3, and directly next to Polus Shopping Center. 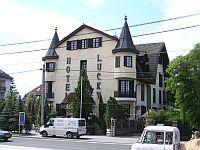 Cheap rooms, and online booking. 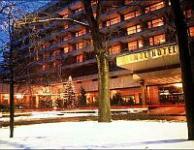 Danubius Thermal Hotel Helia Budapest: 4-star thermal & conference hotel on the banks of the Danube in Budapest. Offers a wide range of diagnostic and therapeutic services and perfect facilities for entertaining. Banquet and conference services for intimate meetings and major functions.Budapest Thermal hotels 4 star hotels online booking. 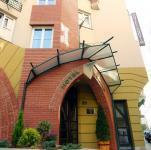 Hunguest Hotel Platanus, located on the Pest side of Budapest, has an easy approach from any direction. Special discounts, and online booking. 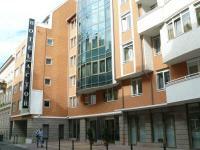 Hotel Millennium Budapest *** is located 10 minutes far from the downtown. Online booking and discounted price. 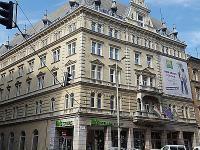 The 4-star hotel Hotel Nemzeti Budapest MGallery is situated in the business and shopping centre of Budapest, with easy access to cultural and tourist attractions. 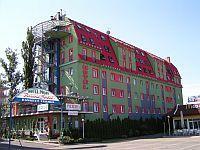 The hotel offers 3 meeting rooms and an old-fashioned restaurant too. The four star Holiday Beach Budapest Wellness & Conference Hotel awaits its guests looking for recreation and refreshment, directly on the bank of river Danube. 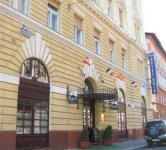 City Hotel Unio is located in the centre of Budapest, 1 minute from Great Boulevard away. 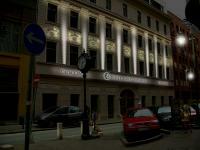 The 3-star hotel await the guests with 52 rooms of high standard. The new 4-star Business Hotel Actor is situated on the Pest side of Budapest, in the southern part of the centre, with easy access. The completely restored and refurnished 3-star The Three Corners Hotel Art is located right in the heart of Budapest, in the business center of the city. Between the historical walls of The Three Corners Hotel Art 32 beautiful, modern, air-conditioned rooms await guests with all possible conveniences. 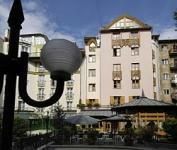 The hotel’s Hargita Restaurant offers authentic Transylvanian dishes with special regional wine selection. The 80 m² seminar room, located on the top floor of The Three Corners Hotel Art offers quiet and pleasant ambience for up to 30 people. The combined use of the fitness centre and the sauna helps to be refreshed and preserve good trim every day. 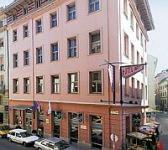 The Three Corners Hotel Bristol, the newest 4-star hotel of Budapest is situated in the business area of the capital of Hungary and simultaneously in close neighborhood with numerous sights of the city. 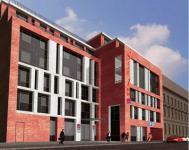 The brand new 4-star Hotel Carat **** is located in the historical centre of Budapest, in a newly-pedestrianised area. 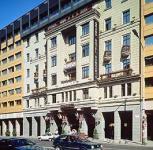 The hotel have special prices for tourists and online booking. 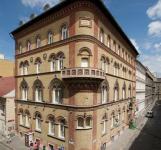 Romantic, pass century beginning outside - friendly, family atmosphere inside in the heart of Budapest. 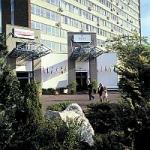 The 4-star Gold Hotel Wine & Dine with a unique location at the bottom of the Gellert Hill, offers 4-star services at discounted prices: renewed rooms with cherry wood furnishing and air conditioning. Camera controlled parking! 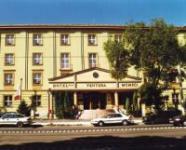 Airport Hotel Stacio 4-star hotel in Vecses close to Ferihegy Airport at discounted prices.